Avoid Cleito Pro fakes. Don't be disappointed, if it is too cheap is it too good to be true? The new Aspire Cleito Pro is the latest UK version of the acclaimed Cleito tank range and comes with new and improved features. As you would expect from Aspire innovations, the Cleito Pro comes with a new 0.5 ohm coil which has phenomenal wicking capability for this type of coil which ensures increased vapour and flavour. Also included is Aspire's new mesh coil rated at 0.15 ohms. The Cleito Pro now includes a pro style extra wide bore Delrin drip tip, triple airflow and larger wicking holes which allows the tank to breath without a hitch even when chain vaping. The new Pro mesh coils gives unparalleled vapour and a very rich, dense flavour. The Aspire Cleito Pro tank is a newly designed variation on the bestselling Aspire Cleito tank and also features improved coils and an easy-slide refill system. The Pro coils are also compatible with the Cleito and the Cleito Exo tanks. 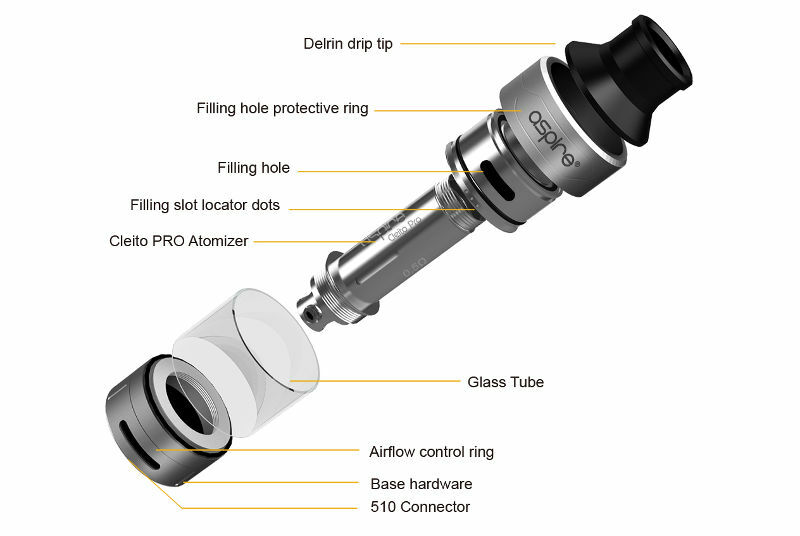 Check out the Aspire Cleito Pro Coils for replacements. Standard Aspire Cleito Coils are compatible with this tank. The new triple slot bottom airflow system is designed to easily adjust to your vaping preference. Coupled with new mesh coil technology and the pro style wider bore Delrin drip tip, the new Cleito Pro gives avid vapers a tank that offers extremely high output. Filling is now even easier, Aspire innovation has come up with a new side-fill slide ring that you simply pull and fill - no need to unscrew. To avoid any spillage the Pro is clearly marked with three dots that are kept facing upwards when filling. Replacing the coils in the Cleito Pro couldn’t be simpler, unscrew the top section including the Delrin drip tip, unscrew and remove the coil and screw in the new coil -see the last image below. This Pro version is more elegant than than the more clunky Cleito Pro 120 and performs no differently. Both have the same capacity and use the same technology. Both sets of Pro coils give perfect vapour. The 0.5 Ohm Clieto Pro coil is best used in the 60 - 80 watt range whilst the 0.15 Ohm mesh coil is optimum at 70 - 80 watts. 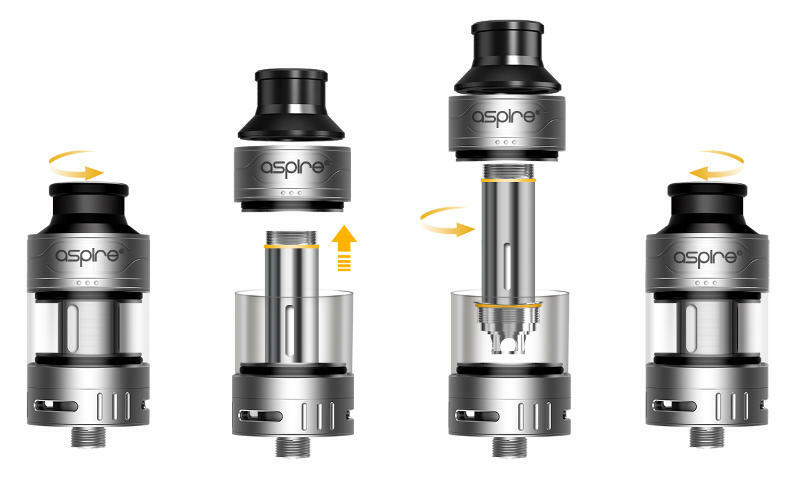 For best results use the Aspire Cleito Pro replacement coils which come in either 0.15 or 0.5 Ohms. 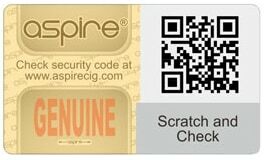 The standard Aspire Cleito Coils are also compatible. Changing the Cleito Pro coils is a relatively easy operation and is best performed with protective gloves to avoid getting nicotine onto you hands. Make sure the tank is empty before attempting to change the coil. Simply unscrew the mouth-piece and remove the glass case, unscrew the old and screw in a new Pro coil, make sure the new coil is firmly in place to ensure connectivity. Slide the glass case back into position and replace the mouth-piece, again ensuring it is firmly in place. To avoid damaging your Cleito Pro coils make sure you prime the new coil by dripping 3-5 drops of e-Juice onto the cotton held within the coil and leave to soak for 2-3 minutes prior to firing up! 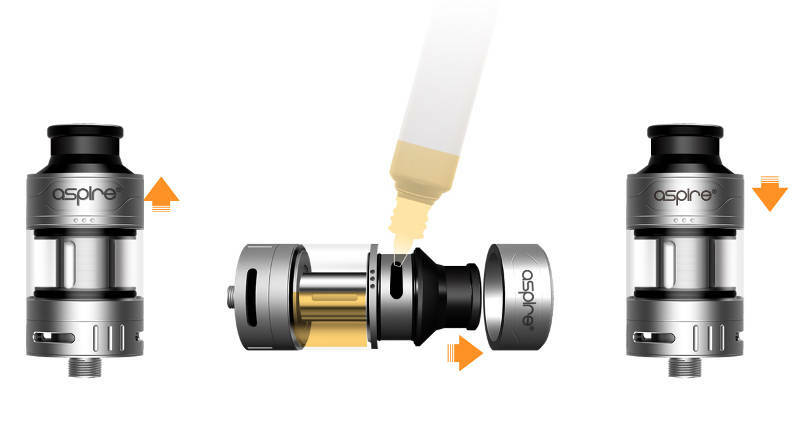 The Aspire Cleito Pro tank is compatible with most standard 510 drip tips and makes an ideal Cool Fire IV tank replacement. It works well with our top of the range vape mods including the Innokin Cool Fire 4, Innokin Proton and KangerTech Subox. Combine it with the Smok Alien and it will give an unparalleled vaping experience. Your Aspire Cleito Pro is manufactured with precision so will not leak providing you use the product and parts correctly. Where any leaks have occurred, we have solved almost all by taking the following steps. Aspire is a relatively new-comer to the UK vaping scene, established in 2013. However with over 25 patented products they have quickly moved to the forefront of the vaping world. The Aspire Cleito range of tanks gained a reputation of being a quality device and a very simple but excellent tank. The Cleito Pro Tank, coils and accessories takes this to the next level and the Aspire tank is now recognised as being one of the best tank systems available. Cleito Pro reviews show that the new Aspire Pro is probably the best tank there is in the UK right now!